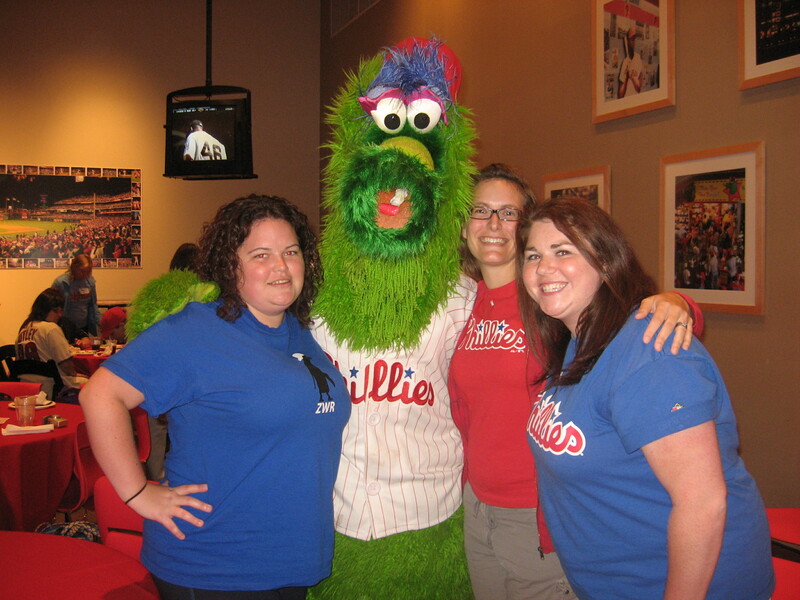 Me, Casey, and Meghan strike a pose with the Phanatic. Last Wednesday, I spent the day at Citizens Bank Park with over 100 women enjoying one of my favorite things – baseball. This day-long event featured an interactive clinic on the field with the Phillies coaches, Q&A sessions with Phillies broadcasters and other Phillies personnel. Also, there is time with a member of the team explaining some of the behind-the-scenes action.. and more!